Here’s a heads up for all of you who will be placing lavender orders for next year. If you order by December 31st you will save some money. Plant prices will be going up on January 1st. Not that we wanted to raise our prices but you all know that story. The cost of materials to blend the soil, trays and pots, utilities to heat the greenhouses – just everything has gone up so much that we just can’t absorb those additional expenses again this coming year. We hope you will give us a few points for not increasing prices for the last 3 or 4 years. We are also offing a wholesale discount structure for your orders. 10% on orders of $10,000.00 or more. We will also begin using a new order form at the first of the year. It will be a PDF Fill In form with a slightly new look. You can download this form and fill it in on your computer. This will help us tremendously because – let’s face it – not everybody has perfect penmanship. 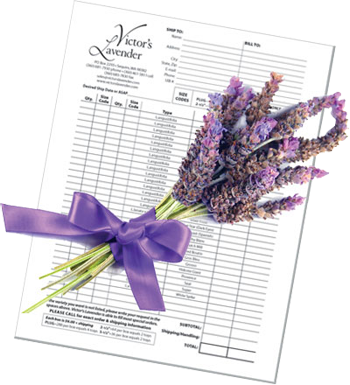 We sometimes have difficulty deciphering names, addresses, phone numbers, all the important stuff necessary to get your lavender plants delivered safely to your door. We do hope that you will use this new feature. For now, submitting your orders will be the same as before. Download, fill it out, and then you can scan it and return it to us via email to info@victorslavender.com or you can fax it to us at 360 683-7830. And of course there’s still the snail mail option by mailing it to us at PO Box 2293, Sequim, WA 98382. There is some additional information required on this new form so please fill it out completely. Please note that Washington State residents must provide a Resellers Permit number and expiration date or we will add sales tax to that order. And hey, we made it easy for you by including a spot on the order form. 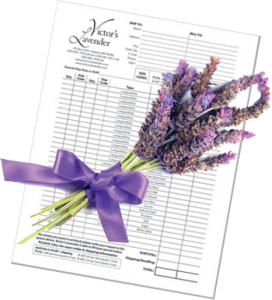 We are looking forward to providing all your lavender needs this coming season. 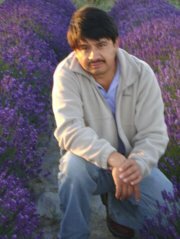 You can be assured that you will be receiving the highest quality plants grown and backed by one of the country’s premier lavender growers.